HEY, WILLIAM, chief justice of Quebec; b. c. 1733 in England, son of Thomas and Elizabeth Hey; m. c. 1783 a Miss Paplay of Jamaica; d. 3 March 1797 in London, England. William Hey was educated at Eton, at Corpus Christi College, Cambridge, and at the Middle Temple, from which he was called to the bar in 1756. His subsequent career stemmed from his Kentish connections. Recommendation to Lord Hardwicke secured his appointments in 1763 as deputy recorder of Dover and as recorder of Sandwich, Kent. When Hardwicke’s son, Charles Yorke, became attorney general in Lord Rockingham’s ministry, Hey’s career was further advanced. With the support of Yorke and another Kentish Whig, Lord Sondes, Hey was chosen chief justice of Quebec. The royal mandate for his appointment was issued on 3 Feb. 1766. 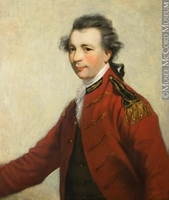 Hey arrived at Quebec on 9 Sept. 1766, having travelled with the colony’s new attorney general, Francis Maseres*. 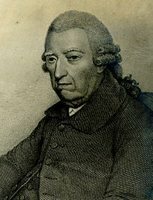 He was soon busied with pressing legal cases arising from the later stages of the Thomas Walker affair and from the crown’s attempt of November 1766 to collect customs duties [see Sir Thomas Mills]. By refusing bail to Joseph Howard and others accused in the attack on Walker and by attempting to secure a special verdict from the jury in the customs case, Hey became embroiled in issues of great significance to the English speaking community in Quebec. The attempt to establish a legal system generally acceptable to the entire population provided Hey with his largest task. 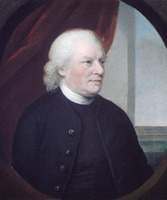 Governor Murray had tried to create a structure that would introduce English law without doing injustice to the Canadians, but many difficulties arose in an immensely complicated situation. Before Hey’s departure from England the law officers had recommended to the British government that Hey and Maseres “prepare a suitable Plan adapted to the Jurisdiction of the different Courts, and the convenience of the Suitors.” Simplicity and speed of justice should be the essential considerations. No rapid response to the law officers’ recommendation was forthcoming from the government, however. Only on 28 Aug. 1767 did the Privy Council resolve that investigations be undertaken into “Whether any and what defects are now subsisting in the present state of Judicature,” and what grievances were expressed and changes required by Canadians. This task was to be carried out by a “fit & proper person” – Maurice Morgann* – who, however, did not arrive in Quebec until 22 Aug. 1768. Hey and Maseres had already made an attempt at linking French and English law. The chief justice possessed no formal knowledge of the French system and in court required an interpreter, but Maseres thought that the advice of an assessor would prove sufficient since “Mr: Hey has already had occasion to determine two or three cases that turned upon points of the French law, and did it very ably and so as to give general satisfaction.” No claim to authority on matters of detail could, however, be made and it seemed impossible for this deficiency to be remedied. 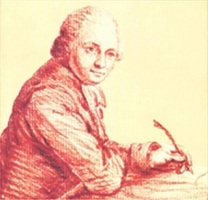 François-Joseph Cugnet had recently drawn up a code of relevant law, but it was, though ably done, “very difficult to Mr: Hey and me to understand from the great conciseness and the technicality or peculiarity of the French law-language,” Maseres confessed. On his return to England in September 1769 Morgann took with him three reports on the legal situation: two giving the contrasting views of Maseres and Governor Guy Carleton* and the third expressing Hey’s dissents from the governor’s report, which he himself had helped prepare. Carleton recommended the general retention of English criminal law and the use of French civil law except for mercantile disputes. Although the chief justice had no wish to impose a purely English legal procedure, he felt that a more limited restoration of French civil law was advisable. 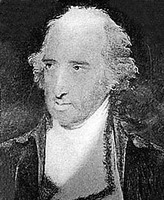 He considered that any policy should be shaped by the “desire to establish such a System as shall tend to draw this Province into some Resemblance with the rest of Your Majesty’s Dominions upon this Continent,” but that the change should be made “with the gentlest Hand.” No Canadian could object to English law being the leading element in an English government, “provided those Points which most sensibly affect them such as the Descent, Alienation and Incumbrance of their real Property, their Mode of Devising Assigning and conveying their Personal, their Marriage Contracts and all those Dispositions which tend to regulate their domestic Æconomy, and keep up Family Connection, are preserved entire, and the Laws concerning them well understood and Administered . . . .” Hey differed from Maseres, who wanted a code to be drawn up; the chief justice believed there was not enough time to prepare one. When the future of Quebec was being considered in England, Hey’s views were taken into account: reports by the law officers contain respectful references to the chief justice’s recommendations. Having been granted permission to return home on leave, Hey arrived in London early in 1774, in time to participate in the final stages of the preparation of the proposed legislation. 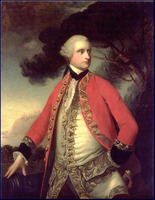 Solicitor General Alexander Wedderburn later told Lord Dartmouth, secretary of state for the American Colonies, that he had “had much conversation with Mr. Hey” concerning the unsuitability of French criminal law and had found the chief justice’s opinions “weighty.” In the first week of June 1774, when in the course of its consideration of the Quebec Bill the House of Commons examined witnesses, Hey appeared before it, following Carleton and Maseres. The leader of the government, Lord North, having denied the opposition copies of their reports on the laws of Quebec on the grounds that these submissions were too long to reproduce, had deprived his critics of useful sources of information. In response to opposition questions seeking to magnify the extent to which Canadians had been denied English constitutional and legal advantages Hey delivered measured and distant answers. He did not agree with assertions that trial by jury or an elected assembly were rights demanded by most Canadians. Although he believed he might in time master their system of law he could not be certain of this. 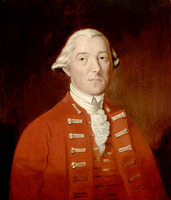 He still thought it desirable that the English and Canadian systems of civil law be reconciled – the question on which he had originally differed with Carleton – but he admitted that the plan seemed less practicable than it had in 1769, since the Canadians had grown less submissive. However they still retained from the old régime much of their respect for authority, submitting naturally and perfectly to the crown rather than yearning for an assembly; that was their attractive aspect, to be “in general a very attentive and obedient people.” On the other hand he also found them “a very ignorant people – a very prejudiced people.” Perhaps because he held these mixed views Hey neither supported nor attacked the bill, which with regard to the legal system essentially followed Carleton’s recommendations of 1769. In the last week of September 1774 parliament was prematurely and unexpectedly dissolved. On 27 September Hey submitted to Dartmouth his resignation as chief justice. That these events were linked by more than coincidence was proved by Hey’s nomination and unopposed return as member for Sandwich. His offer to resign as chief justice had been made in the knowledge of his approaching election and in the belief that he could not occupy both positions. Nevertheless, in December 1774 Dartmouth wrote to Carleton to dispel any assumptions that Hey would not return to Quebec. 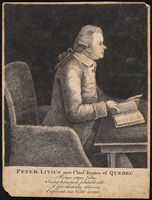 The chief justice, he asserted, was resolved to resume his duties, even if he would have to relinquish his seat, “which however we hope and think may be avoided.” Whether Hey’s resolution was entirely voluntary may be doubted; his presence in Quebec was urgently required if new courts of justice, a necessary consequence of the enforcement from 1 May 1775 of the Quebec Act, were to be organized. By the end of 1774, still in England, Hey had prepared the draft of an ordinance for establishing courts of justice in the province. He did not, however, return to Quebec sufficiently promptly to allow for the preparation of an ordinance by the appointed date. After his arrival on 15 June 1775 he found it difficult to carry out the task assigned him by the Legislative Council of conducting the committee that would prepare a new judicial structure. Hey continued to assert the superiority of English commercial law and of trial by jury in cases relating to personal wrongs. Carleton’s instructions reveal that the British government intended these practices to be established by the governor and council, but Carleton, in alliance with the seigneurs on the council, offered an opposition sufficient to fend off proposals for their introduction. The controversy was in any case overtaken by the American invasion of the summer of 1775. In the course of the summer of 1776 it became clear that Hey would not return to Quebec. He held firmly to the understanding on which he had entered the Commons: that he would soon thereafter leave Quebec and acquire other office. In August he declined the request of Lord Germain, the new secretary of state for the American Colonies, that he resume his duties. He resigned office and “strenuously pressed” his claim for a commissionership of excise or customs. His appointment to the customs post on 31 Oct. 1776 vacated his parliamentary seat and closed his legal and political careers. As chief justice of Quebec Hey had discharged his duties with reasonable diligence. Although he was altogether more competent than his predecessor, William Gregory, and not a centre of controversy like his successor, Peter Livius, his efforts were for the most part confined to presiding over a legal system which he but partially understood and failed to amend. It has been concluded by Alfred Leroy Burt that “with one possible exception [an aspect of the Walker case] no fault has been found with his administration of justice” and Hilda Neatby* has asserted that the council’s blocking of his bill to reorganize the courts in the summer of 1775 “meant the loss of the first and best chance of building, on the settlement of the Quebec Act, a reasonable compromise between the English merchants and the French party.” Unfortunately, Hey’s general competence and ability to contribute to the revision of Quebec’s court system proved of less significance to him than his desire to secure a safe office in England. Docs. relating to constitutional history, 1759–97 (Shortt and Doughty; 1918). G.B., Hist. mss Commission, The manuscripts of the Earl of Dartmouth (3v., London, 1887–96), I–II; Part., Debates of the House of Commons in the year 1774, on the bill for making more effectual provision for the government of the province of Quebec, drawn up from the notes of Sir Henry Cavendish . . . (London, 1839; repr. [East Ardsley, Eng.] and [New York], 1966). Maseres, Maseres letters (Wallace). Reports on the laws of Quebec, 1767–1770, ed. W. P. M. Kennedy and Gustave Lanctot (Ottawa, 1931). Namier and Brooke, House of Commons. Burt, Old prov. of Que. (1968). Bernard Donoughue, British politics and the American revolution: the path to war, 1773–75 (London and New York, 1964). Neatby, Administration of justice under Quebec Act. in collaboration with Peter Marshall, “HEY, WILLIAM,” in Dictionary of Canadian Biography, vol. 4, University of Toronto/Université Laval, 2003–, accessed April 24, 2019, http://www.biographi.ca/en/bio/hey_william_4E.html.